Keep your zeal and faith alive! It’s Here Again! Livinghope, The Irresistible Light That Shines In Darkness!! 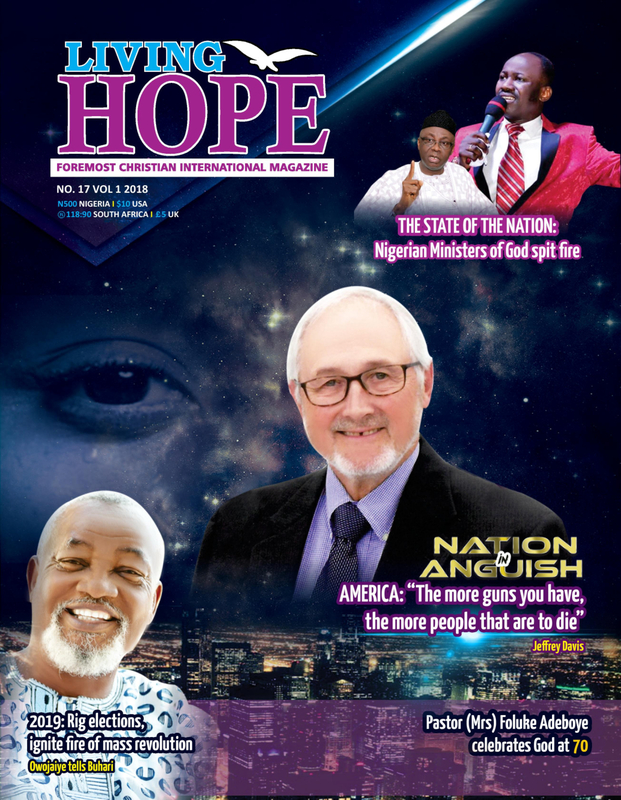 Livinghope Magazine is the foremost Christian international news magazine established in 1997 in Lagos, Nigeria. This magazine was established to serve the interest of all Christians regardless of the church denominations to which they belong. Noteworthy is the fact that between the time of establishment and now, fourteen editions have been printed aside the attempts made to continue publishing online. In furtherance of the earlier discussed objective of the magazine is this new platform created and we believe that it shall serve as a pivot on which the wheel of new innovations in news dissemination shall rotate. We look forward to your patronage even as we are committed to serving your interests continually.